In 2010, as we were setting out on another leg of our continuing adventures, I was invited to become the Internet radio host of On the Road with Mac and Molly on PetLifeRadio.com. Pet Life Radio is the #1 pet podcast network on the planet featuring weekly talk shows hosted by the most respected experts, authors and radio and TV personalities in the world of animals and pets. 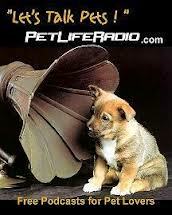 Pet Life Radio is available on-demand from the PetLifeRadio.com website, iTunes and more than 30 podcast distributors. On the cutting edge of technology, PLR’s 24/7 live radio stream is broadcast globally to more than 100 million subscribers on the PetLifeRadio.com home page as well as to smart phones, mobile devices, Xboxes and cars through iHeartRadio, TuneIn Radio, Stitcher Radio, iTunes Radio, Aha Radio, Agogo, Streema, iStream Radio, CX Radios and ooTunes Radio. With no specific itinerary and an ever-changing format , I reported from the well-traveled thoroughfares and lightly-traveled lanes on the joys and challenges of sharing the open road with Gene and our sibling pair of Old English Sheepdogs Mac and Molly. What follows is an introduction to several of my favorite programs with links to their podcasts. 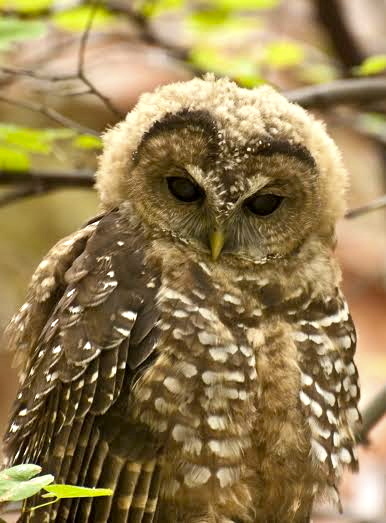 Mexican Spotted Owl. Photo provided by Janice Stroud-Settles. 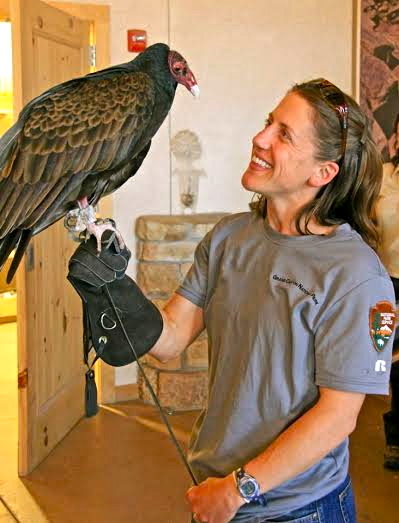 Janice Stroud-Settles with Edwina, a rescued turkey vulture. Two-thirds of Americans and Europeans won’t ever live where they can see the Milky Way–their own galaxy, their own solar system–because two-thirds no longer experience real night, real darkness, and nearly every person in the world lives in areas considered polluted by light. 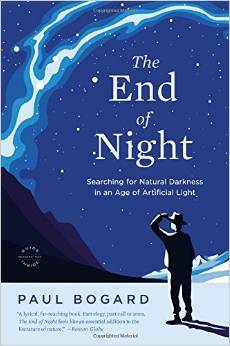 In Episode 31 of On the Road with Mac and Molly, we hear from Paul Bogard, author of The End of Night: Searching for Natural Darkness in an Age of Artificial Light. In his book and in this program, we travel with Paul around the globe to find night where it lives . . . showing exactly what we’ve lost, what we have left and what we might hope to regain. We hear how the loss of night is not only a loss of beauty above us. Exposure to artificial light at night has been cited as a factor in health concerns in humans ranging from poor sleep to cancer. Light pollution is also threatening the health of the world’s ecosystems as everything from the reproductive cycles to the migration patterns of nocturnal animals is adversely affected by artificial light at night. But there is hope. Light pollution is one kind of pollution we can readily fix. And Paul’s panoramic tour of the night, from its brightest spots to the darkest skies we have left gives us every reason to flip the switch—tonight. The Adventures of Salt and Soap at Grand Canyon is the true story of two puppies who wandered into the Canyon and maneuvered their way into some great escapades–multiple rim-to-river hikes, a white-water rafting trip, and even a helicopter ride–all while ultimately snuggling their ways into park rangers’ hearts. The author of this charming book for children, interpretive ranger Lori Rome, adopted this pair of adventurers after meeting them at the bottom of the Canyon at Phantom Ranch, the historic oasis on the north side of the Colorado River that’s tucked in right next to Bright Angel Creek. She took Salt and Soap in as “lost and found items” but, with Lori, the intrepid duo found a home. And home for all of them is now Capitol Reef National Park in south-central Utah where they’ve been joined by a third dog (another stray, Mo, whose proper name is Morri, after the Morrison rock formation near where he was found). In Episode 30, Lori about Salt, Soap and their buddy Morris and gives us entrée to her life as a ranger in parks from Alaska to Florida, shares stories about pets and wildlife in the parks, and details her exciting work with mountain lions at Capitol Reef. In Episode 28, I chat with Kathryn Bertok, Curator of Animals at Carolina Tiger Rescue. The 55-acre Pittsboro, North Carolina facility has more than 70 animals in its care including tigers, binturongs, lions, cougars, bobcats, caracals, kinkajous, ocelots and servals. In this program, we center on all things tiger from chuffling (tiger speak) to mother-cub interactions to the tiger’s affinity for water (not only for drinking but for bathing). 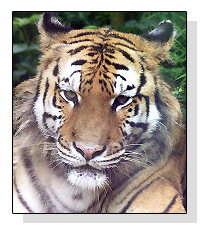 We hear how tigers are faring in the wild and in captivity. Kathryn shares some of the most heartbreaking truths of the $15 billion exotic pet trade that is devastating not only for the animals and their habitats, but for humans as well who are placed at risk when dangerous creatures are made “pets.” The show concludes with the story of Aria, a tiger confiscated from her “owner,” who is now—thanks to Carolina Tiger Rescue—on the road to recovery. The organization is working toward the day when wildcats are not used for entertainment purposes; no trade exists for wildcats or their parts; and all wildcats prosper in sustainable, native habitats. Charlie Brown in the garden of the Charles M. Schulz Museum and Research Center. On October 2, 1950, three kids – Charlie Brown, Patty and Shermy – appeared on the funny pages of seven newspapers. Over the next 50 years plus – via television specials, a Saturday morning cartoon, books, live theater productions, recordings, amusement parks and 17,897 comic strips – these three, along with Snoopy, Woodstock and others in a sizable cast of characters, have taught us and entertained us. The Peanuts Gang was the invention of Charles M. Schulz and, today, visitors to Santa Rosa, California may explore the art and nuances of his craft at a museum that carries on his legacy. Schulz was born in Minneapolis in 1922 and 12 hours after his birth, an uncle gave him the nickname “Sparky” after the racehorse character Spark Plug in a popular comic strip of the time, Barney Google. 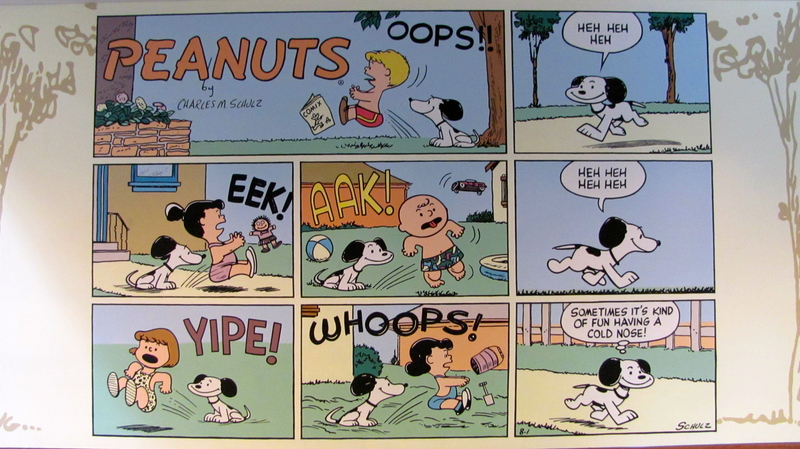 Thus, almost from the moment of his birth, Schulz had a connection with comic strips. Early on, “Sparky” showed an aptitude for art and, following service in the European Theater of Operation during World War II, he launched into a career in the funny papers. 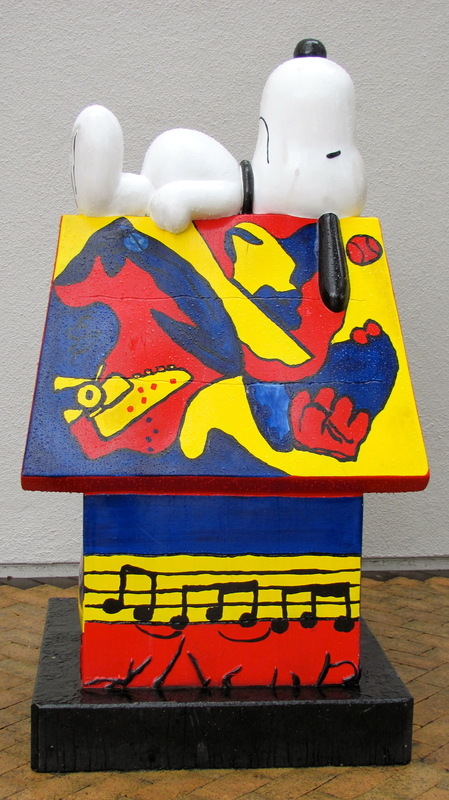 Snoopy on top of his doghouse. In Episode 26 of On the Road with Mac and Molly on Pet Life Radio, I chat with Karen Johnson, Director of the Charles M. Schulz Museum and Research Center. We hear about the Peanuts Gang, its creator and the museum. And then, we center, most especially, on all things Snoopy from his doghouse decor (a pool table, Wyeths and a Van Gogh . . . ); to his impersonations (from a moose and a pelican to Mickey Mouse); his moments at the typewriter (“It was a dark and stormy night . . . “); his alter-egos (who doesn’t love his WWI flying ace and his battles with the Red Baron? ); his “band of brothers” (siblings Spike, Marbles, Olaf, Andy and Belle); and his connection with aviation (from NASA to the U.S. Air Force). It was not until 1957 that Snoopy walked on his two hind feet like a human. Karen explains how Snoopy’s character evolved over time to embrace more and more of the fanciful. We also hear why Schulz believed the best idea he ever had in the strip was to move Snoopy from inside the doghouse to the rooftop. 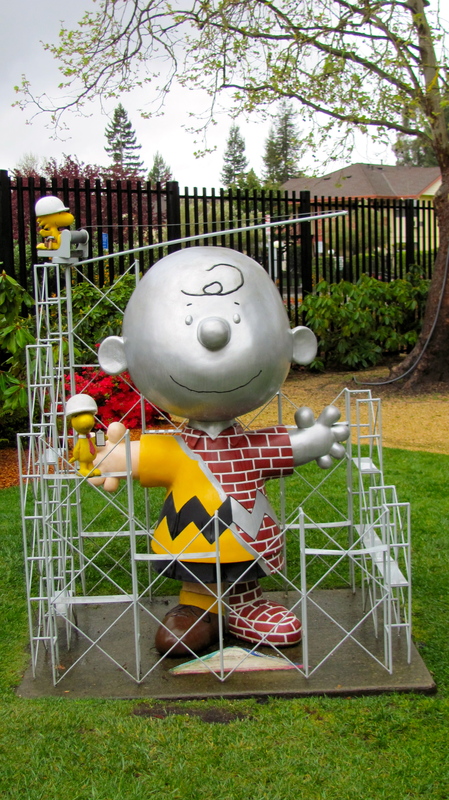 All photos taken at the Charles M. Schulz Museum and Research Center by Donna Hailson. Listen to my interview with Karen Johnson on Pet Life Radio’s On the Road with Mac and Molly at: http://petliferadio.com/ontheroadep26.html. 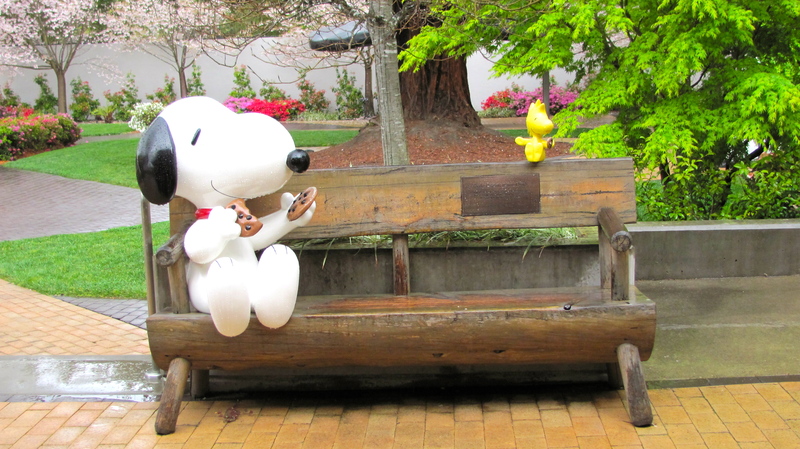 Snoopy and Woodstock sharing cookies in the garden at the Charles M. Schulz Museum. In Episode 25 of On the Road with Mac and Molly, the focus is on the Pawsitive Partners Prison Program, which is operated under the umbrella of Monty’s Home. 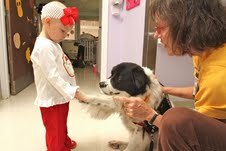 This North Carolina-based organization was inspired into being by the love and generous spirit of Monty, a dearly loved therapy dog and canine star who brought sunshine into the lives of many. After Monty succumbed to cancer, his human companion, Barb Raab, created an organization in his memory and today, through Monty’s Home, sunshine continues to be shed on dogs and human beings through efforts like the Pawsitive Partners Prison Program. In this effort, volunteers select dogs from kill shelters to undergo training in preparation for adoption into permanent homes. 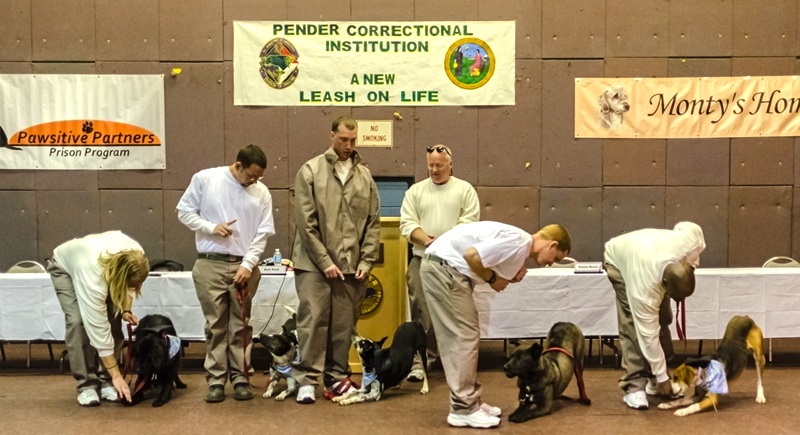 After undergoing temperament evaluations, heartworm testing, spaying/neutering, microchipping and vaccinations, each new “class” of dogs moves into the Pender Correctional Institution in Burgaw where they are trained by specially-screened inmates over a period of nine weeks. 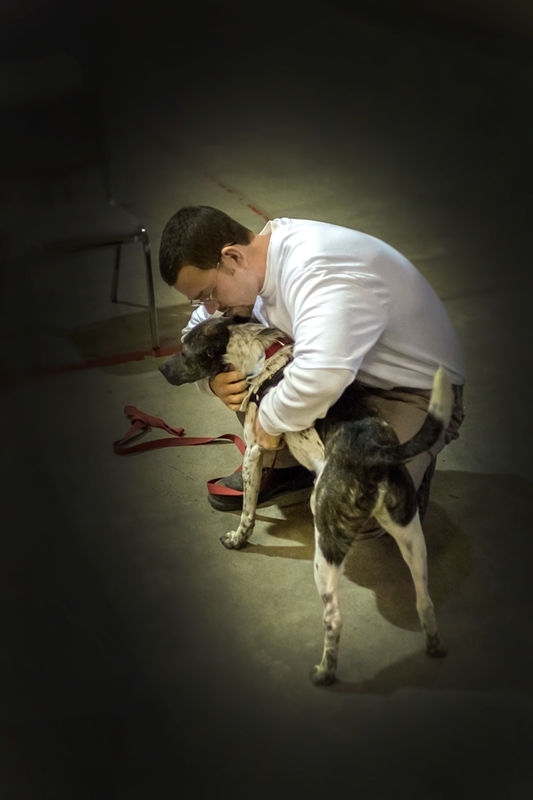 Upon graduation, the dogs go home to their adoptive families. Nearly 100 dogs have been successfully placed in loving homes and preliminary nationwide studies are suggesting that the recidivism rate of inmates participating in programs of this type is significantly reduced. Pawsitive Partners is credited with not only saving the lives of canines but saving the lives of humans as well. The episode begins with Barb’s recounting of life with Monty and moves on through some of the high points and most memorable moments that Barb, program volunteers, dogs and inmates have experienced through Pawsitive Partners over the years. I’m looking forward to being with the volunteers as they choose the next “class” of dogs. I also expect to observe some of the training and to be present for an upcoming graduation ceremony. Listen to my interview with Barb Raab on Pet Life Radio’s On the Road with Mac and Molly at http://www.petliferadio.com/ontheroad25.html. Stormy, Chilly, Misty, Thunder and Breezy taking a bow with their primary trainers, Timothy J., David S., Tony J., William B. and Derrick M. Photo provided by Monty’s Home. K-9 Comfort Dogs Ruthie and Luther, along with LCC staff members Rich and Dona Martin, visit with Lee Ann Yanni, a survivor of the bombings in Boston, just before she was to undergo surgery on her shattered leg. After ministering to those shaken by the bombings along the route of the Boston Marathon, specially trained therapy dogs have been deployed to help those struggling to recover from the fertilizer plant explosion in West, Texas. Tim Hetzner, President of Lutheran Church Charities. Photo provided by LCC. In Episode 24 of my program, On the Road with Mac and Molly on Pet Life Radio, I speak with Tim Hetzner, who is leading the team in West, Texas and who was also with the team deployed to Boston. Tim shares stories from the ministry in these cities and recounts how the dogs have been able to break through to help people move toward healing. Often, individuals will begin by petting the dogs and hugging them. Then the tears and the worry-filled and pain-filled words follow. Luther and Ruthie, bags packed, ready to deploy. While in Boston, the team spent time working at the First Lutheran Church that sits very near the finish line of the Marathon. The Wednesday Night Runners’ Club of Boston, most of whom were marathoners from Monday’s race, were among those who came by to talk through the events of the week and to work through their thoughts and feelings together as a group with the K-9 Comfort Dogs. Wherever the team went they helped provide a respite area, a place to step away from the fear and sadness to work through the healing process individually or in groups. Home base for the team in Texas is Waco’s St. Paul Lutheran Church but a good bit of the ministry has been done in the local schools and with university students shaken to the core by the disaster. Each of the dogs in the program, including those deployed to Boston and Texas, has its own Facebook page. Home page for the program is: https://www.facebook.com/k9comfort?fref=ts. 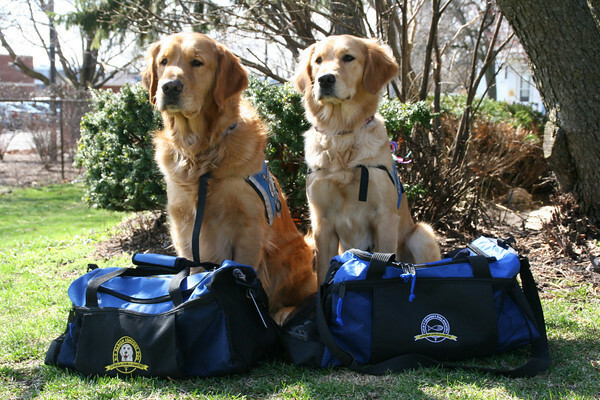 For more information on the Comfort Dogs visit: http://www.lutheranchurchcharities.org/index.php?option=com_content&view=category&layout=blog&id=25&Itemid=95. 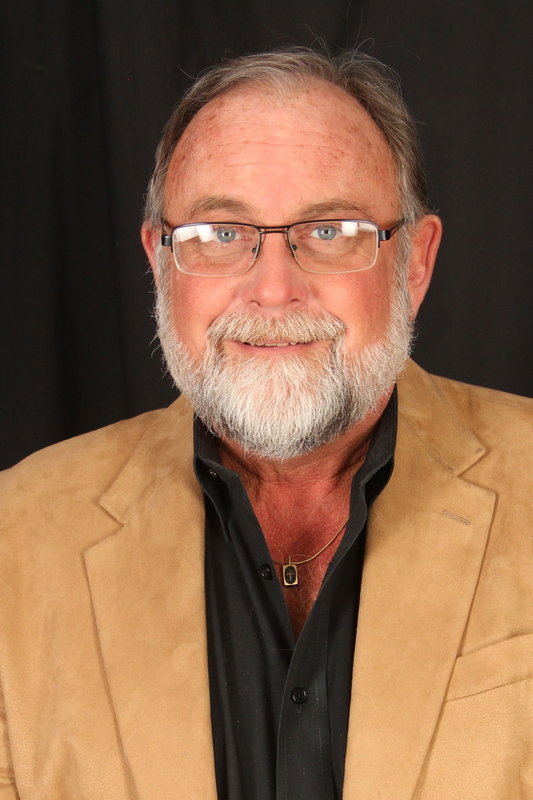 Listen to my interview with Tim Hetzner on Pet Life Radio’s On the Road with Mac and Molly at: http://petliferadio.com/ontheroadep24.html. All photos provided by Lutheran Church Charities. Members of the Wednesday Night Runners’ Club with the K-9 Comfort Dogs. For two years, two months and two days – from late 2010 to the start of this new year – my husband and I traveled across the United States in search of “experiences outside of our experiences.” In our days on the road, we met many fascinating people from gold panners and a family of wild mushroom pickers in Oregon to a moonshiner in Louisiana, from a mariachi band in Texas to Gullah-Geechee sweetgrass basket weavers in South Carolina. We spent delight-filled days marveling at glorious natural wonders from the majestic Grand Canyon in Arizona to the hoodoo-filled Bryce Amphitheater in Utah, from the lush and soul-soothing Appalachian Mountains in Tennesee to the barren salt flats of Badwater in California’s Death Valley. Along the way we also had a good many surprise encounters with wild animals, many of which we found in new and unanticipated habitats. 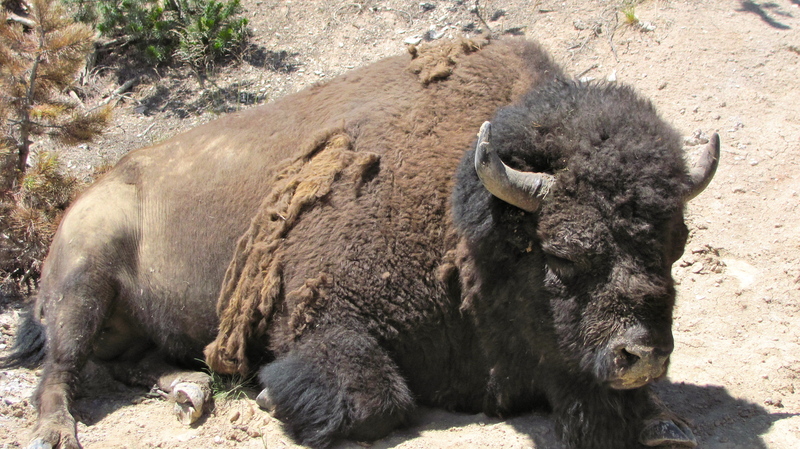 Our companions: grizzlies, black bears, coyotes, bighorn sheep, prairie dogs, pronghorns, mountain goats, alligators, bald eagles, elk, bison, even a band of beggin’ burros. In Episode 22, I recount some of the most magical and memorable of these encounters. Listen to this program at: http://petliferadio.com/ontheroadep22.html. In this episode, Francis recounts how Best Friends developed from scratch into a 300,000-member organization. He then offers details on his work in Los Angeles in advising, creating and launching animal welfare initiatives. 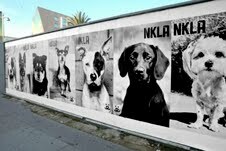 The newest of these is NKLA (No-Kill Los Angeles). This project, entered into by a coalition of animal welfare organizations, city shelters and individuals, has the goal of ending the killing of healthy and treatable pets in all of L.A.’s shelters. The plan is straightforward: provide spay/neuter services where they are needed the most so fewer animals go into shelters and increase adoptions through the efforts of the NKLA coalition members so more animals come out of the shelters and go into new homes. As part of these efforts, Best Friends has taken over the operation of what was formerly known as the Northeast Valley Shelter in Mission Hills. The new facility is called Best Friends Pet Adoption and Spay/Neuter Services. Learn more at http://www.bestfriends.org. 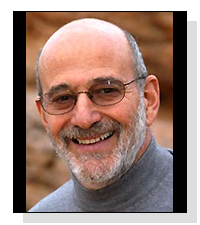 Listen to my interview with Francis Battista on Pet Life Radio’s On the Road with Mac and Molly at http://www.petliferadio.com/ontheroad21.html. In Episode 20 of ON THE ROAD WITH MAC AND MOLLY, I visit with Kitty Terry, Executive Director of Hand in Paw (HIP), the internationally-known, Birmingham, Alabama-based, animal-assisted therapy organization. HIP, founded in 1996, provides professionally trained animal-assisted therapy teams to help people heal physically and emotionally. These 120+ teams (which are made up entirely of volunteers) address abuse, disabilities, illiteracy, and chronic and terminal illness, through more than 50,000 visits a year in more than 50 facilities in the state of Alabama. From a heart of great passion for the work, Kitty shares stories of wonderful successes through each of HIP’s programs: PETSCRIPTION, SIT, STAY, READ!, and PAWSITIVE LIVING™. 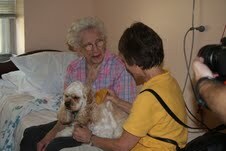 PETSCRIPTION volunteers work with patients to provide medical, psychiatric and rehabilitation services via interactions between them and their therapy animals. 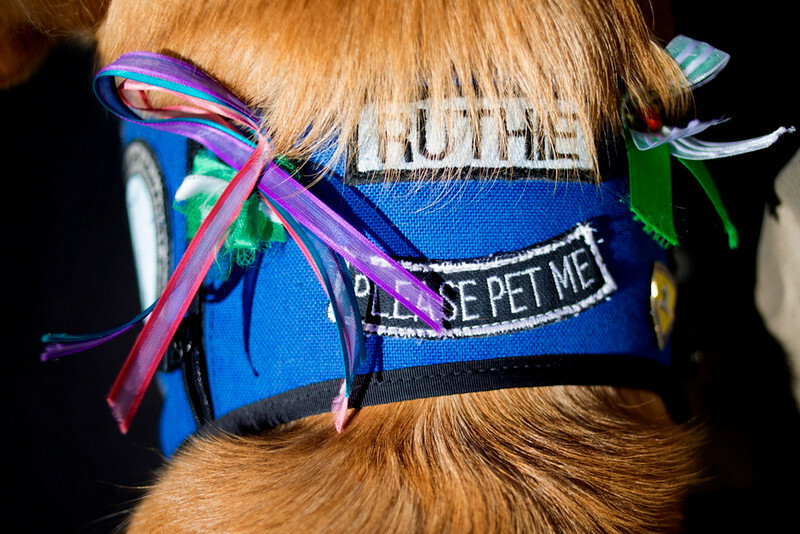 Whether its visiting a child in their hospital room, bringing joy to the elderly in a nursing home, or providing motivation to those during a rehabilitation session, the therapy animals bring joy, comfort, and lots of hugs. SIT, STAY, READ! helps reluctant young readers who are performing below grade level to overcome embarrassment and improve skills by reading aloud to a non-judgmental therapy animal. This program was first conducted in association with libraries and now helps improve literacy skills in other settings as well. PAWSITIVE LIVING™ is an innovative 12-week program that teaches compassion and anger management to high-risk youth. On this program, as well, you’ll hear about the wonderfully innovative Picasso Pets, HIP’s signature event and fundraiser. In this, a family’s or individual’s pet (a dog, a cat, a bird, a pig, a horse, whatever furry, feathery creature it is that they love) is paired up with a professional artist (the pet’s “muse”) to create a masterpiece. Each human artist helps each animal artist use its feet or, perhaps, a tail to paint across a canvas. Sometimes, a nose is employed as a stamp. 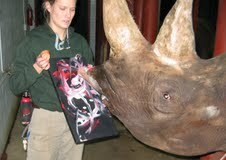 Each canvas is then stretched, the artist puts on the finishing touches, and there you have it, the most unique piece of artwork that you will ever have…especially because it was created with the love of and for an animal. 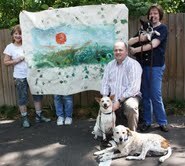 This artwork is then auctioned off in conjunction with other large auction items, and is accompanied by a silent auction. All the proceeds from each year’s event are poured back into advancing the organization’s mission of helping people heal. Learn more at http://www.handinpaw.org. Listen to my interview with Kitty Terry on Pet Life Radio’s On the Road with Mac and Molly at http://www.petliferadio.com/ontheroad20.html. In the second episode of a multi-part series on animals and art-making, we hear from Tifane Grayce, author of Fur in My Paint. Pictured and profiled in this full-color, hardcover, high-gloss coffee table book are art-making creatures from scorpions to beaded lizards, from macaws to elephants, from rhinos to gorillas, from sea lions to white tigers. Tifane explains how, quite early in her life, her interest in this area of study was piqued by her mother’s inspiration and cemented through a TV feature on the gorilla, Koko. In the program, Koko was shown painting and, at a point, this Great Ape stopped and carefully removed a hair from the canvas she was painting. Tifane wondered what motivated Koko to do that; Tifane was intrigued, she was hooked. Tifane Grayce, author of Fur in My Paint. I explore with Tifane how the Fur in My Paint project came to fruition and discuss animal creativity and aesthetic sensibilities. From Tifane, we learn about some of the animal parks and conservation centers across the country that are offering art in their “curricula” for their charges. We hear how animals are trained in art and how human/animal relationships have been enhanced or changed through these interactions. Photo provided by Tifane Grayce. Tifane and I conclude our time together discussing how folks can work with their pets – from cats and dogs to birds and pigs – in creating art. And we hear from the author about two more volumes on which she is at work: Water Colors, that focuses on the art-making of marine mammals, and Bear Naked Paint, that introduces folks to the work of ursine artists. 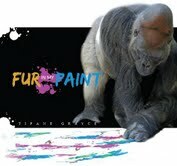 Learn more at http://www.furinmypaint.com. Listen to my interview with Tifane Grayce on Pet Life Radio’s On the Road with Mac and Molly at http://www.petliferadio.com/ontheroad19.html. Ken Lytwyn, Curator of Marine Mammals at the Oregon Coast Aquarium, with Max. Photo provided by the Oregon Coast Aquarium. With this episode of ON THE ROAD WITH MAC AND MOLLY, I launch into a multi-part series on art-making by animals in captivity and art-making by our pets. We visit Newport, Oregon to chat with Ken Lytwyn, Curator of Marine Mammals at the Oregon Coast Aquarium. 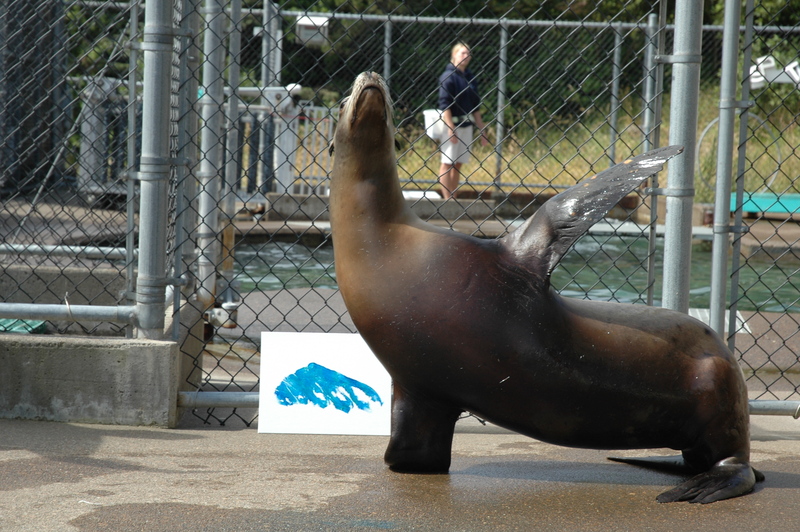 Our conversation centers on the facility’s resident sea lions – Lea, Max and Quill – who spend some of their enrichment activity time painting canvases and creating flipper prints. From Ken, we learn how the three were trained to paint with flipper and brush. Ken describes their distinct temperaments and talents and details what made Lea, Max and Quill good candidates for art-making. We hear how they were trained and how they are rewarded for their efforts and we consider what we can know or, perhaps at best, surmise about sea lions from their art-making. Lea with one of her flipper prints. Photo provided by the Oregon Coast Aquarium. 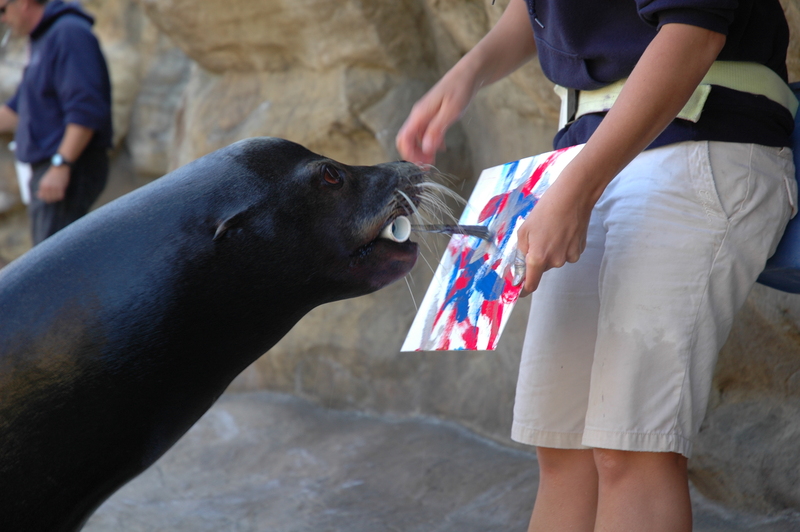 Questions for Ken: Do sea lions attach any meaning to their artwork? Do they appreciate beauty? Do they have fun when they engage in these activities? 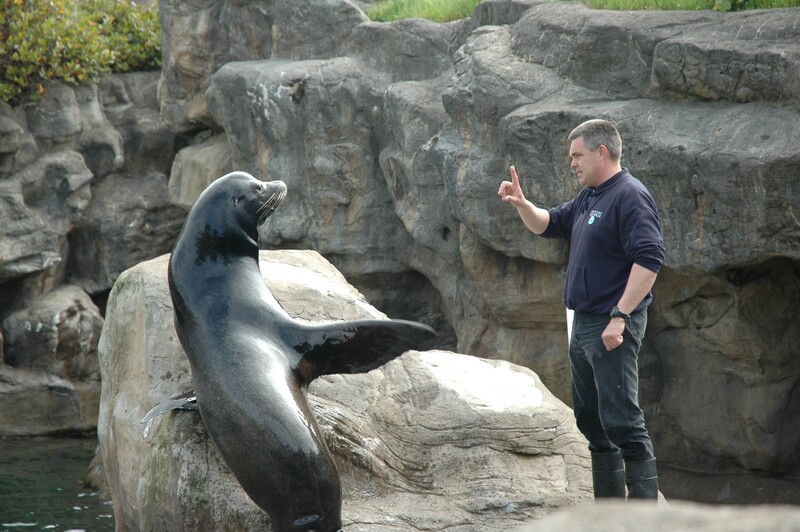 How do sea lions learn and can we relate their learning processes to the ways in which human beings learn? Are they visual learners? Auditory learners? Tactile learners? Could a sea lion teach another sea lion to paint? 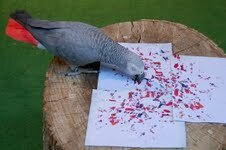 Max at work with paint brush and canvas. Photo provided by the Oregon Coast Aquarium. The Oregon Coast Aquarium opened in 1992 and is situated on a beautiful 39-acre site on Yaquina Bay adjacent to an estuary and opposite a historic bay front with a working harbor. The aquarium is home to some 15,000 creatures (250 species) and is consistently rated among the nation’s best. It has received praise from USA Today, Coastal Living, Parents Magazine, Forbes Traveler and Trailer Life. The facility welcomes about 460,000 visitors annually and is open every day save for Dec. 25. Summer (Memorial Day weekend through Labor Day) hours are: 9 a.m. to 6 p.m. Winter hours are: 10 a.m. to 5 p.m. Admission is $15.45 for adults aged 18-64; seniors (65+), $13.45; young adults (13-17), $12.75; children (3-12), $9.95 and age 2 and younger, free. For more information, visit www.aquarium.org. Listen to my interview with Ken Lytwyn on Pet Life Radio’s On the Road with Mac and Molly at http://www.petliferadio.com/ontheroad18.html. In episode 17 of ON THE ROAD WITH MAC AND MOLLY, I chat with Nevada Barr, New York Times Bestselling Author of the Anna Pigeon mystery series. Nevada was born in the small western town of Yerington, Nevada and was raised on a mountain airport in the Sierras. Both of her parents were pilots and mechanics and her sister, Molly, continued the tradition by becoming a pilot for US Air. As Nevada explains, when she was pushed out of the nest, she landed in the theatre, receiving her Bachelors degree in Speech and Drama and her Master of Fine Arts degree in Acting. Following graduation, she made her way to New York City and, for 18 years, she worked on stage, in commercials, and in industrial training films. She also did some voice work for radio. Over this time, however, she became increasingly interested in the environmental movement, and started spending her summers working in the National Parks – Isle Royale in Michigan; the Guadalupe Mountains in Texas; Mesa Verde in Colorado; and then on the Natchez Trace Parkway in Mississippi. But, while she was serving as a seasonal park ranger, she was also writing travel pieces and restaurant reviews and she was weaving stories for sharing at the campfire. She eventually began to turn out longer tales and her first novel – Bittersweet – saw publication in 1983. The Anna Pigeon series, featuring a park ranger as the protagonist, came to life when she married her love of writing with her love of wild places. Her first book of the 17, The Track of the Cat, was released in 1993 and it was honored with both the Agatha and Anthony awards for best first mystery. Next, in 1994, came A Superior Death, loosely based on Nevada’s experiences as a boat patrol ranger on Isle Royale in Lake Superior. Then in 1995, it was Ill Wind, set in Mesa Verde, Colorado where Nevada had worked – for two seasons – as a law enforcement ranger. Her latest, The Rope, is a prequel set in the Glen Canyon National Recreation Area that surrounds Lake Powell and lower Cataract Canyon in Utah and Arizona. In this book, we’re provided with the previously untold story of Anna’s first foray into the wild and the case that helped shape her into the ranger she became. A reviewer for the New York Times opined that Nevada “has a real feeling for creatures who live in the wild, especially women who can’t be tamed.” In this episode, we get a sense of how much of Anna is in Nevada and how much of Nevada is in Anna and we hear amusing as well as alarming anecdotes about the wild animals this remarkable woman has encountered. We also hear what the folks of the National Park Service think of all the evil doin’s that Nevada has set in their surrounds. Here’s a hint: Nevada was the 2011 recipient of the Robin W. Winks Award, given annually to people and/or organizations recognized for enhancing public understanding of the National Parks. Previous awardees have included Tom Brokaw, Ken Burns and the National Geographic Society. Nevada speaks to us from her home in New Orleans. Learn more at http://www.nevadabarr.com. 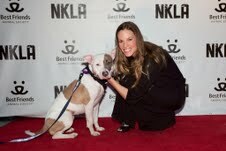 Listen to my interview with Nevada Barr on Pet Life Radio’s On the Road with Mac and Molly at http://www.petliferadio.com/ontheroad17.html. 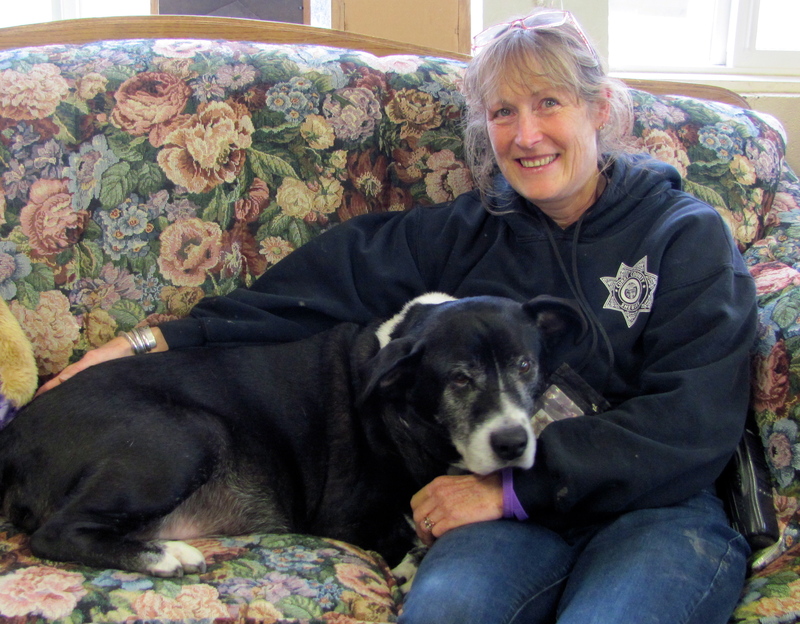 In Episode 16 of ON THE ROAD WITH MAC AND MOLLY, I visit with Catherine Powers, Animal Control Officer for Curry County on the southern coast of Oregon. From a heart filled with passion and compassion, Catherine shares how she was drawn into this work. As she offers a rundown of the responsibilities she shoulders, it quickly becomes clear that the job calls for a special breed of caregiver. Any given day will find Catherine responding to emergency calls; rescuing the endangered; attending to dog licensing; providing health-building food, clean shelter and loving care for abandoned animals; seeking safe and permanent homes for the same; overseeing volunteers and much more. There’s no “typical day” as each hour is filled with a new challenge. Deep heartbreak and great joy come with the territory. On a recent visit, I was met by a charming and smart-as-a-whip young dog that was yielded by a serviceman as he was preparing to deploy. 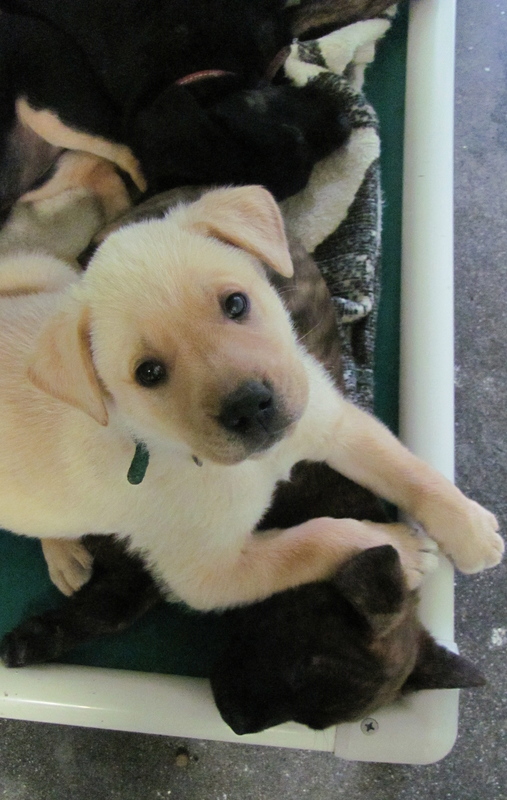 Close by were a half-dozen puppies (a Rottweiler and Labrador Retriever mix) also waiting for adoption. Playful Pit Bull Terrier Gunner danced a game of tug of war with Catherine and a timid Shepherd mix, named Irie, who’d come in to the shelter with injuries, warily inched her way toward me. In this episode, Catherine shares her vision for the ideal animal shelter and details a clever way she has found to help fund her animal rescue efforts: providing daycare and overnight boarding for dogs who already have pet parents. Listen to my interview with Catherine Powers on Pet Life Radio’s On the Road with Mac and Molly at http://www.petliferadio.com/ontheroad16.html. Jerry’s Rogue Jets, now Oregon’s only mail boat outfit, has come a long way since the days of pike poles and sails. The Gold Beach-based company still delivers the mail up stream on the Rogue River but now, carried even more often, on the company’s shallow-draft, jet-propelled vessels, are vacationers seeking adventure. The fully-loaded 32- to 42-foot boats can carry 38 to 65 passengers and are able to navigate in depths of as little as eight inches of water. The first vessels, built in 1958 by company founders Jerry, Alden and Court Boice, were constructed on a design originated in 1954 by Sir William Hamilton for use in the fast-flowing and shallow rivers of New Zealand.A year ago in March, Jerry’s purchased its one competitor, the Rogue River Mail Boat Company that had been in existence since 1895. 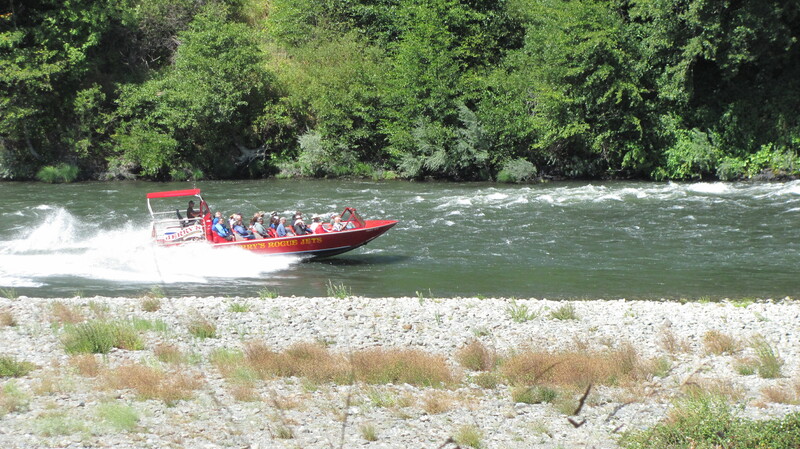 Today, Jerry’s nature-based jet boat trips on Oregon’s “Wild & Scenic” Rogue River are a must do for 800 or more passengers per day in high season and more than 30,000 coastal travelers each year. On offer on the river is a blend of interpretive narration, meal stops at riverside lodges, rugged scenery, abundant wildlife, Pacific coastal estuary, and adventurous whitewater jet boating. In Episode 15 of On the Road with Mac and Molly, I speak with Nic McNair who owns the company along with his brother Scott, mother Cherie, and father Bill (the only original interest holder still attached to Jerry’s). From Nic, we learn how jet boats operate over the recreational, scenic and wilderness sections of the Rogue. We hear about some of the boatmen who have grown up alongside these waters and we marvel at the wildlife that can be seen along the banks and in the river. 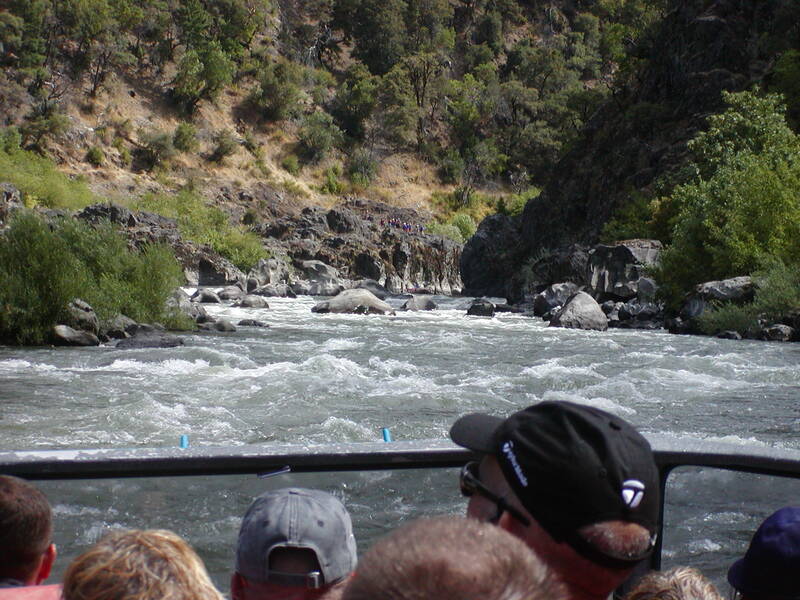 I also share from my own and Gene’s experience of the 104-mile round trip “Wilderness Whitewater Adventure” that takes folks up to Blossom Bar Rapid, which is as far as is navigable by jet boat. The journey takes in all that is found in Jerry’s shorter trips: the 64-mile “Historic Mail Route,” that meanders along the Pacific Coastal Estuary, with its magnificent snowy egrets, black bears and bald eagles, playful otters and black-tailed deer, and the 80-mile “Whitewater Excursion,” where guests race over 2-Mile Rapid, Shasta Coasta Rapid, Wildcat Rapid, Old Diggins Riffle, Fosters Rapid and Watson Creek Rapid.We end with a note about Cherie’s border collie Rogue who has maneuvered herself into position as Jerry’s mascot, keeping guests entertained while they’re waiting to board the jet boats. For more information visit: http://www.roguejets.com. Listen to my interview with Nic McNair on Pet Life Radio’s On the Road with Mac and Molly at http://www.petliferadio.com/ontheroad15.html. Z Soffron with one of the wolves of Wolf Hollow. Photo provided by Wolf Hollow. The North American Gray Wolf has been protected by the Endangered Species Act since shortly after the law was passed in 1973. But now, in an unprecedented move, Congress has delisted the Gray Wolf in Idaho, Montana and parts of three other states. The congressional rider, introduced last April as part of a budget bill, is now being challenged in a Missoula, Montana courtroom. Several environmental groups (The Alliance for the Wild Rockies, The Center for Biological Diversity, Friends of the Clearwater, and WildEarth Guardians) have banded together to fight the delisting, claiming that Congress violated the U.S. Constitution’s separation of powers doctrine when it ordered the wolf delisted and blocked future court review of that decision. Wolf hunting seasons have been authorized for this fall and the plan, at this moment, according to a televised news report here in Idaho last night, is to reduce the population — currently estimated at 1,700 — to 150. In Episode 14 of ON THE ROAD WITH MAC AND MOLLY, I speak with Joni Soffron. In 1988, Joni and her husband Paul founded the Ipswich, Massachusetts-based North American Wolf Foundation and Wolf Hollow with the mission of preserving the wolf in the wild through education and exposure. Paul died a few years ago but Joni and son Z have continued this work. We’ll hear from Joni about life at Wolf Hollow where, on this multi-acre site abutting marshland, visitors can meet the resident wolves – at close hand — and observe how a wolf pack functions. 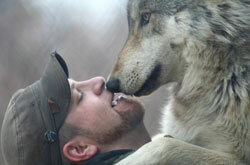 Wolves are extraordinarily social creatures and, as we’ll learn in this program, their pack dynamics are fascinating. In many ways, wolf pack organization parallels that of a human family. Wolves are devoted to their young and five new puppies (three males and two females) have recently been added to the Wolf Hollow mix. We’ll hear how the pups are settling in, how wolves are faring in the wild, and how we can help support these magnificent creatures. For more information, visit: http://www.wolfhollowipswich.com. Listen to my interview with Joni Soffron on Pet Life Radio’s On the Road with Mac and Molly at http://www.petliferadio.com/ontheroad14.html. In Episode 12 of ON THE ROAD WITH MAC AND MOLLY, I chat with San Antonio, Texas veterinarian Rae Dishinger, of the Alamo Dog and Cat Hospital, who introduces us to some of the “Threats to Pets” specific to the American Southwest. As Gene and I have been moving about the country with Mac and Molly, we have had to be on guard against potential perils all along the way. In the West, we were on the look out for rattlers and copperheads, coyotes and bobcats, feral hogs and even birds of prey. On occasion, we’ve been too late to keep Mac from rolling in burro poop and to keep Molly from eating cow pies. We’ve had to have both of the dogs treated for kennel cough even though they’d been vaccinated against this respiratory illness in the east. We discovered that, just as there are numerous variants of human flu, there are many strains of kennel cough and you can’t vaccinate against them all. Rae tells us what wild animals and toxic plants may be encountered in the Southwest and offers advice on dealing with climatic changes (particularly the intense heat and humidity in this part of the world). She also shares the story of how her own beloved dog succumbed to the bite of a rattler. One other surprising note: Lyme Disease, which is of such concern in the East, has now reared its ugly head in some parts of the Southwest. In future episodes of this multi-part “Threats to Pets” series, which will be interspersed through shows on unrelated topics, I will be speaking with veterinarians in other regions of the country who will discuss ways to protect our pets from threats specific to each of those regions. As noted in the launch of the series, we’ll learn from these folks about external and internal parasites; infectious diseases; insects, wild animals; plants; toxins and poisons found in and around our homes and in various places we may visit while traveling on the road. Listen to my interview with Rae Dishinger on Pet Life Radio’s On the Road with Mac and Molly at http://www.petliferadio.com/ontheroad12.html. In Episode 11, we launch into a multi-part series entitled, “Threats to Pets.” As Gene and I have been traveling about the country with our two Old English Sheepdogs – Mac and Molly – we have encountered potential perils all along the way. 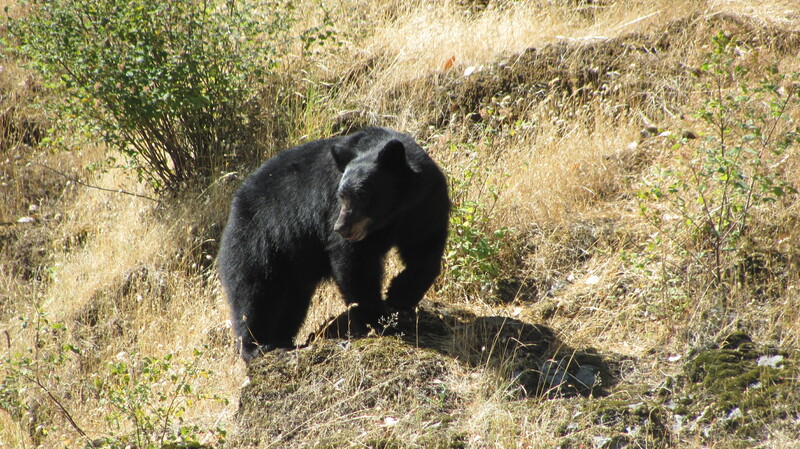 Speaking just of wildlife: in Louisiana, we were warned to take care walking near a lake because the denizens therein – the alligators – had developed a special appreciation for “dog.” In Colorado, the concerns were over bears and mountain lions. 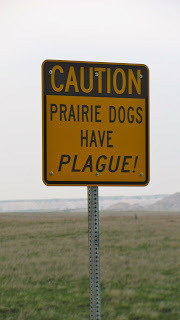 In South Dakota: prairie dogs carrying the bubonic plague. In Texas: rattlesnakes. It was in San Antonio, Texas that veterinarian Rae Dishinger suggested Mac and Molly receive rattlesnake vaccine. In the event of a bite, she said, the vaccine would slow the spread of the venom giving us additional time to get our loved one to a veterinarian. Rattlers are of special concern to Rae as her own dog died as the result of a snake bite. Rae also treated Mac and Molly when they contracted kennel cough. 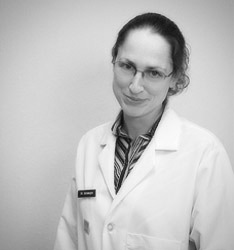 Our veterinarian in Pennsylvania and we had been careful to have the dogs vaccinated against this respiratory illness before we hit the road but, we learned, just as there are many different strains of human flu, there are many strains of kennel cough, and you can’t vaccinate against them all. Getting us started with this series is veterinary toxicology consultant Dr. Sharon Gwaltney-Brant, former Vice President of the ASPCA’s Poison Control Center. In this first episode in the series, she identifies for us some of the common toxins and poisons found in and around our homes and on the road – on roadsides and at rest areas, campgrounds and dog parks –wherever we may be in the country. 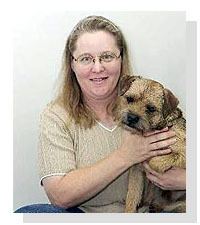 She’ll offer suggestions on what to pack for our pets when we take them on the road and she’ll share the story of how her own border terrier had to be treated for intoxication after eating something he found on the ground at a rest stop. In future episodes, we’ll hear from veterinarians in several regions of the country who will instruct us in ways to protect our pets from threats specific to each of those regions. From these folks, we’ll learn about parasites (external and internal); infectious diseases; insects, wild animals; plants; and toxins and poisons found in and around our homes and in various places we may visit while on the road. Listen to my interview with Sharon Gwaltney-Brant on Pet Life Radio’s On the Road with Mac and Molly at http://www.petliferadio.com/ontheroad11.html. In Episode 10, I chat with John Erickson, author of the Hank the Cowdog series of humorous mystery books for children. More than 7.5 million copies of Erickson’s books have been sold since 1983. His 57th volume – The Disappearance of Drover — was just released as was the audio version of the book. John writes the Hank books from the point of view of a dog, a dog who can’t quite understand why he’s so misunderstood. The volumes are filled with humor, western parlance, and details that could only be provided by one who lives the life of a small-town rancher. Titles include The Case of the Incredible Priceless Corncob; The Case of the One-Eyed Killer Stud Horse; The Case of the Dinosaur Birds; and The Case of the Car-Barkaholic Dog. Along for the ride with the bumbling Hank in these stories are the hilariously-written cowboy Slim; ranch owners Sally May and High Loper; Hank’s buddy, the loyal, yet timid, mutt Drover; and sworn enemies like Hank’s chief competitor for table scraps, Pete the Barncat. John speaks to us from his home in Perryton, Texas. At the time of the interview, a group of homeschooled junior high and high school students (who’d been raised on Hank the Cowdog stories) were with him learning about the process of writing. 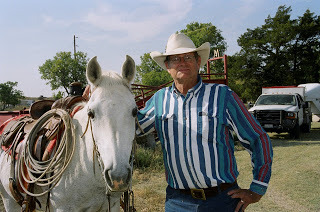 John Erickson with his horse, Nocona. Also on the show are Phil and Amy Kruse, owners of the Circle View Ranch in Interior, South Dakota, who share how they were inspired by John’s books to name their own border collie and “head of ranch security,” Hank the Cowdog. To learn more, visit http://www.hankthecowdog.com. Listen to my interviews with John Erickson and Phil and Amy Kruse on Pet Life Radio’s On the Road with Mac and Molly at http://www.petliferadio.com/ontheroad10.html. In Episode 8, we visit St. Cloud’s 4,700-acre eco-ranch and wildlife conservation area Forever Florida, home of Florida EcoSafaris, where – in two and half hours and via seven ziplines and nine towers — we’ll be soaring through the treetops and sky-bridging over Pine Flatwoods and forested wetlands. This site boasts nine distinct Florida eco-systems and is home to alligators, black bears, nearly two hundred species of birds and the endangered Florida panther. Joining us in this episode will be Florida EcoSafari’s Matt Duda, whose background in marketing, tourism, ecotourism, and conservation makes him just the right person to introduce us to the history of the property, the flora and fauna one finds here and the adventures (along with ziplining, coach safaris, horseback safaris and rawhide round-ups) in which one can engage here. From him, we’ll also learn about the efforts being made to preserve the natural beauty and natural ecological balance at Forever Florida. The property is located at 4755 N. Kenansville Road, which is about an hour southeast of Orlando. Reservations are required. Phone 407.957.9794. extension 1, or 1.866.85.4EVER. extension 1. Or check them out online at www.FloridaEcoSafaris.com. Learn more about Forever Florida on Pet Life Radio’s On the Road with Mac and Molly at http://www.petliferadio.com/ontheroad8.html. This year marks the 60th birthday of Sparky the Fire Dog, the cartoon Dalmatian mascot of the National Fire Protection Association. Celebrations have been and will be held this year not only in the United States but also in at least one location on the other side of the world. In the first half of Episode 7, we’ll hear about some of these events and we’ll learn more about Sparky. Like many of the advertising icons that were introduced in the 1950s (from Tony the Tiger to Speedy Alka Seltzer) Sparky’s looks have changed considerably over the years. In recent days, he’s bulked up a bit and he’s become much more colorful. Today, he hosts his own website, has a Facebook page, and makes personal appearances. His likeness is seen in Sparky costumes, Sparky Valentines Day cards, Sparky birthday kits and Sparky robots. Sparky is also finding himself the recipient of some pretty remarkable honors. One great example: a few months back — on Kadena Air Base on Okinawa, Japan — Sparky was named a non-commissioned officer, a staff sergeant. This recognition was given to celebrate Sparky’s 23 years of service to the air base. Filling us in on Sparky’s life and the work of the organization he represents will be Massachusetts-based Lorraine Carli, Vice President of Communications for the NFPA. The Fire Museum of Texas, Beaumont. The world’s largest working fire hydrant. Fire Museum of Texas, Beaumont. 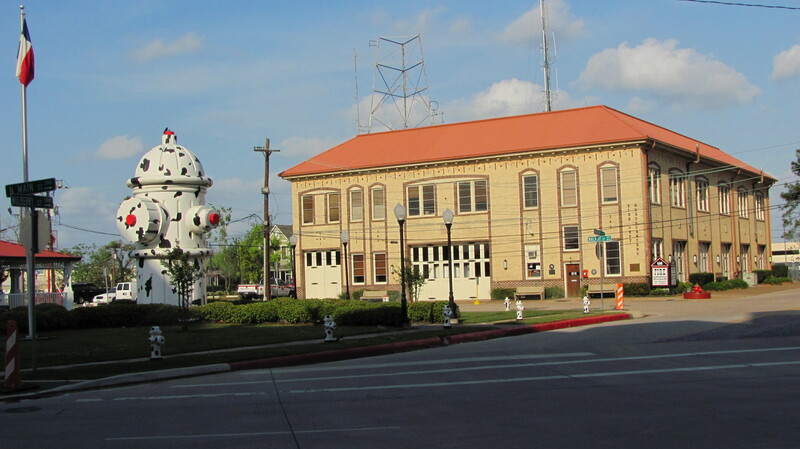 In the second half of the program, we’ll visit the city of Beaumont, site of the Fire Museum of Texas. 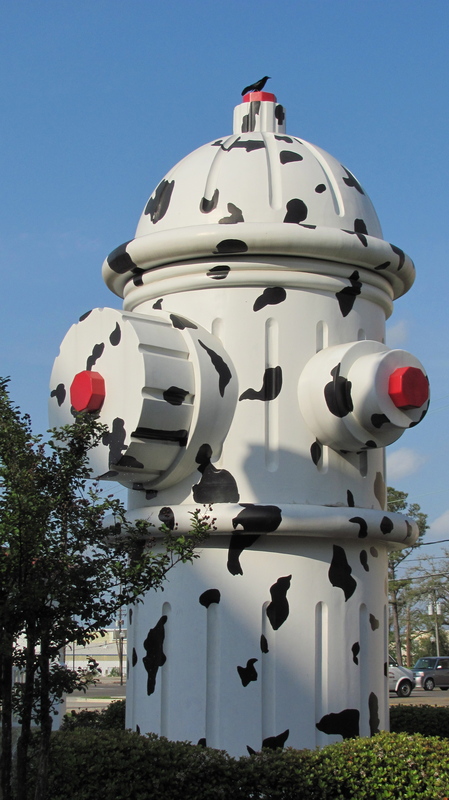 In the plaza, adjacent to the museum, sits the world’s largest working fire hydrant. From Carol Gary, the museum’s Executive Director, we’ll hear how that multi-story fire hydrant came to sit where it does. A hint: Disney, Dalmatians and Cruella de Vil had something to do with it. From Carol we’ll also hear about what’s on offer especially for children at the museum and we’ll learn how dogs have worked side by side with firefighters pretty much since fire companies were formed. To learn more, visit: http://www.firemuseumoftexas.org. Learn more about Sparky the Fire Dog, the National Fire Protection Association and the Fire Museum of Texas on Pet Life Radio’s On the Road with Mac and Molly at http://www.petliferadio.com/ontheroad7.html.